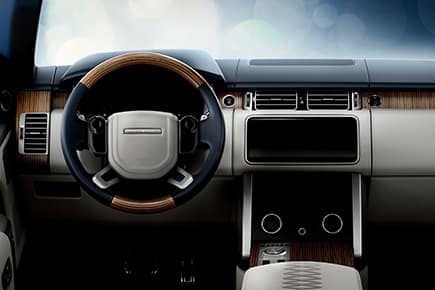 The purity of the frameless doors of the Range Rover SV Coupe is perfectly complemented by power-close technology and clean, uninterrupted glazing. The new Contour Graphic starts at the side vent and flows around the rear to the opposite vent, emphasizing the vehicle’s superb proportions. The unique two-tone 23″ wheels add to the vehicle’s poise and stance. 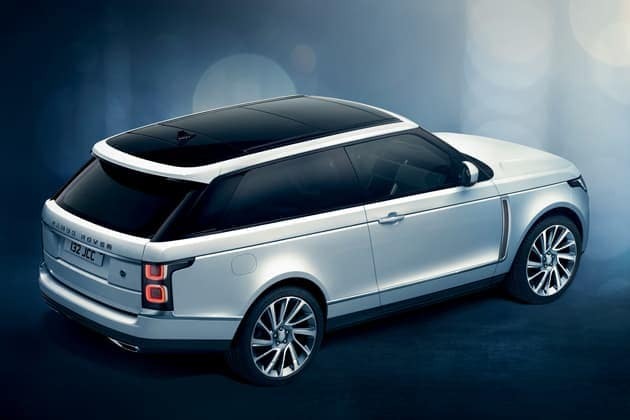 Superbly designed and engineered, they set the Range Rover SV Coupe apart. 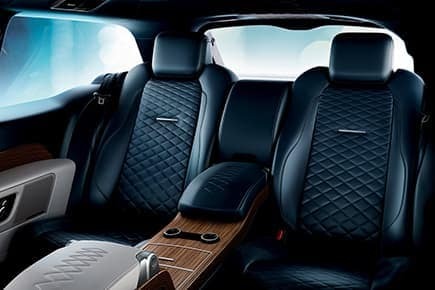 The latest technologies have been seamlessly incorporated into the vehicle’s uncluttered interior, so that you can always stay connected. 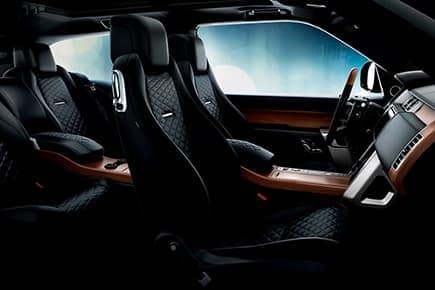 A knurled effect on details like the rotary shifter, together with the finest veneers and finishes, enhances the cockpit’s contemporary and elegant appearance. 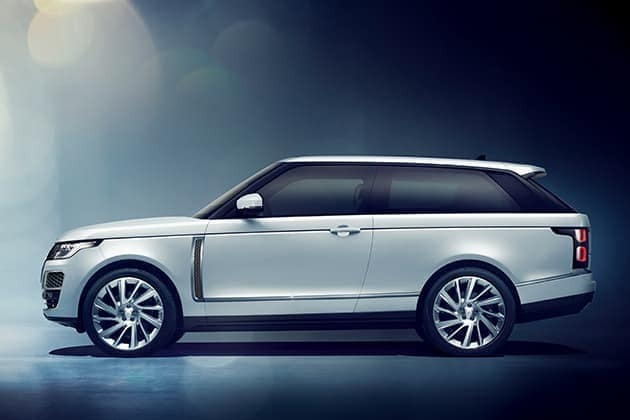 As befits such a rare vehicle, the color palette of the Range Rover Coupe is second to none. Each Designer’s Choice features multiple exterior paint color options from the core and SVO Premium collections. 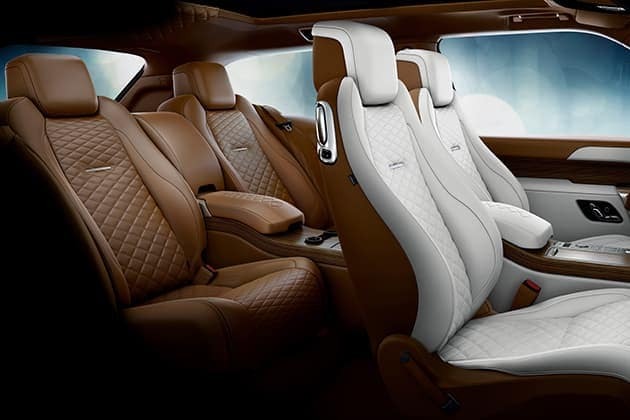 Our soft Semi-Aniline leathers are sourced from one tannery, established in 1905. 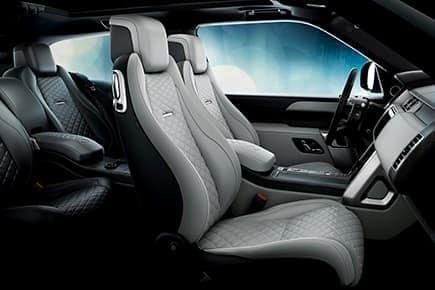 They retain the hide’s natural surface-with the grain-and feature a unique Diamond Quilted design. Combining intuitive technologies and compelling design, Touch Pro™ Duo creates a superb interactive experience. Head-up Display and the Meridian™ sound system enhance the vehicle’s peerless interior. Through our Bespoke SVO team, we will now be offering 7 “Bespoke” packs that are curated for the customers by designers. These features are not a substitute for driving safely with due care and attention, and will not function under all circumstances, speeds, weather and road conditions. The driver should not assume that these features will correct errors of judgment in driving. 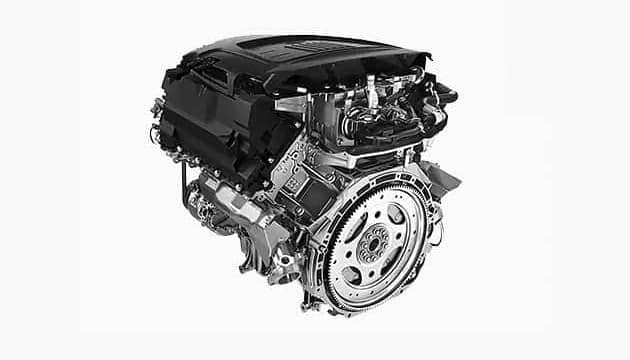 Please consult your owner’s manual or your local authorized Land Rover Retailer for more details. Please remember that the safety belts in a vehicle constitute the primary protection system for driver and passengers in collisions. Airbags are not designed to deploy in all collisions. The airbag Supplemental Restraint System (SRS) is a supplement to the safety belts and is designed to work as a system with the safety belts. Although airbags provide additional protection, airbags without safety belts do not provide optimal protection in a crash. Always wear your safety belts. Children younger than 13 years old should always be properly restrained in a back seat, away from airbags. Never place an infant seat in the front seat. Meridian™ is a trademark owned by Meridian Audio Limited. Always obey local speed limits. 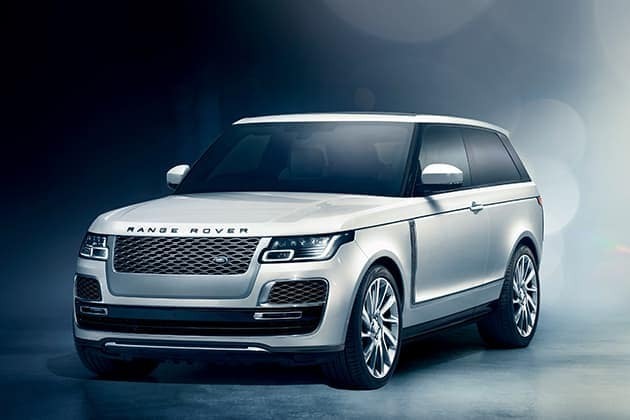 The Bluetooth® word mark and logos are owned by the Bluetooth SIG, Inc., and any use of such marks by Land Rover is under license. Vehicle shown may have optional equipment at additional cost. Professional driver(s) on a closed course. Do not attempt. Driving while distracted can result in loss of vehicle control. Do not operate, adjust or view the navigation or multimedia systems under conditions that will affect your safety or the safety of others. Only use mobile phones and other devices, even with voice commands, when it is safe to do so. 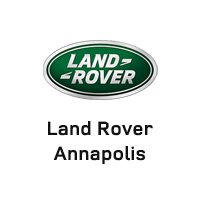 For complete terms and conditions of the limited warranty coverage, please see your local authorized Land Rover Retailer. All illustrations, photographs and specifications on this page are based on the Discovery Vision Concept vehicle. Since this is still a prototype vehicle and final design, equipment, and accessories have not been determined, actual production vehicles may differ from the one shown. Information and pricing are subject to change without notice. All bookings must be secured with a credit card. Must be 18 years of age or older. A valid U.S. driver’s license and signed release are required for all attendees who wish to operate a Land Rover vehicle at the event. Trademarks: iPad®, iPod® and iPhone® are trademarks of Apple, Inc. registered in the U.S. and other countries. SiriusXM® Satellite Radio is a registered trademark of Sirius XM Radio Inc. and its subsidiaries. HD Radio™ is a trademark owned by iBiquity Digital Corporation. WhiteFire™ is a trademark owned by Unwired Technology LLC. All other trademarks are the property of their respective owners. All figures are Manufacturer’s fuel economy estimates. Actual mileage may vary. EPA estimates not available at time of press. Do not use Land Rover InControl® features under conditions that will affect your safety or the safety of others. Driving while distracted can result in loss of vehicle control. A 3-month trial subscription to the Sirius All Access package is included with the vehicle, which gives you access to 150+ channels of premium programming. Plus you can stream SiriusXM on your computer, smartphone or tablet – it’s included in your trial. If you decide to continue service after your trial, the subscription plan you choose will automatically renew thereafter and you will be charged according to your chosen payment method at then-current rates. Fees and taxes apply. To cancel you must call SiriusXM at 1-866-635-2349. See the SiriusXM Customer Agreement for complete terms at siriusxm.com. All fees and programming are subject to change. SiriusXM Satellite Radio is not available in Alaska or Hawaii. The Wi-Fi hotspot is intended for passenger use only. 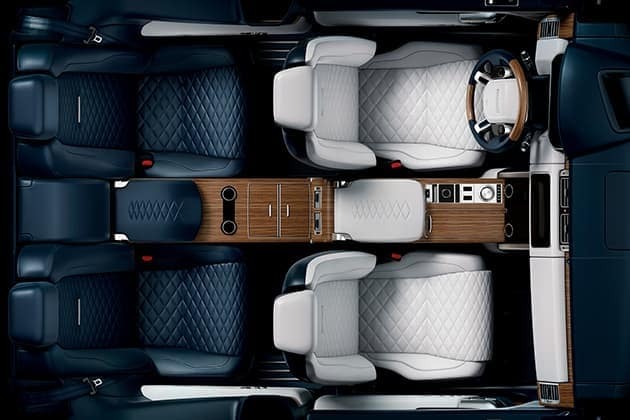 Land Rover InControl® features may require an additional subscription with separate terms and conditions.